Don’t you hate it when you get those annoying and repetitive calls and ‘hey, I want to be your friend’ messages from unknown cell phone numbers? Don’t you wish there was a way in which you could identify who is doing this, whether it is a friend who is playing a prank or is it some unknown random creep stalking you? One of the biggest problems in this process lies with the fact that unlike home phone numbers, which are public records and easily available, the cell phone numbers are private records. One of the easiest, most cost effective (completely free to be specific) and efficient means of searching for unpublished cell phone numbers of private individuals is to search on your favorite search engine using it. All you will need to do is enter the cell phone number with quotes into the search box of the search engine and in all probability you will get a hit on it somewhere on the internet. This is usually possible due to the fact that many people have their private unpublished cell phone number listed on their social networking website profile or office profile. They also might have it on their private blog or on a classified advertisement that they had posted some time back. This way you can find out the name of the owner of the number and with some luck and extensive searching, you might end up with his physical address. Another service that has been gaining popularity when it comes to the necessity of tracking unpublished cell phone numbers is the reverse lookup services that many dedicated websites offer. 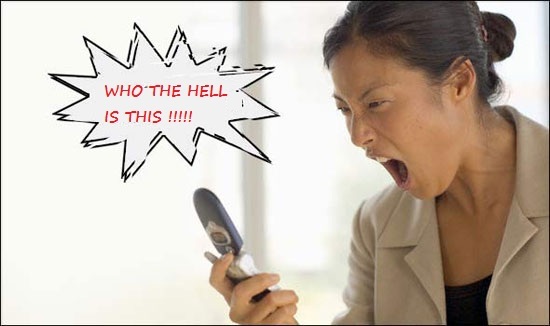 Be informed that your reverse cell phone lookup service might be paid or free in nature. While it is recommended that you sue the free service in case your necessity is not that severe, it is better to use the paid service for more intense requirements like employee background checks and others due to the fact that they happen to be more extensive and accurate. The reverse lookup services usually run your search string (the phone number) through the extensive updated databases that they have in their possession and then return the relevant results for your query. Keep in mind that using this service for getting hold of numbers for stalking, telemarketing purposes or any other abusive usage will lead to strict legal punishments. These 2 remedies to get hold of your creepy stalker or settling your suspicions regarding your spouse’s affair (or for any other perceivable non abusive reason) can be extremely helpful!